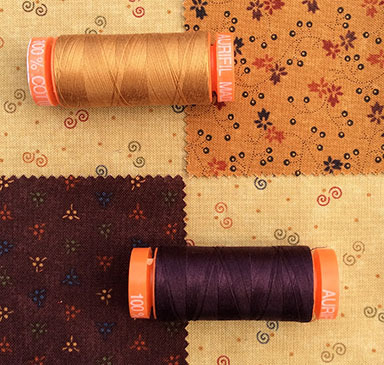 Geri A - I love Aurifil thread It is simply the best!! Love the way I can find coordinating colors. Also love basting spray, as I hate to baste!! Congratulations to Geri A. 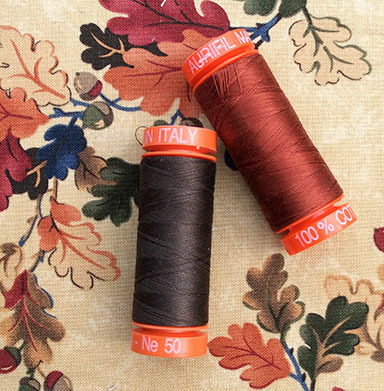 You're the winner of our new KT Aurifil Thread Box. 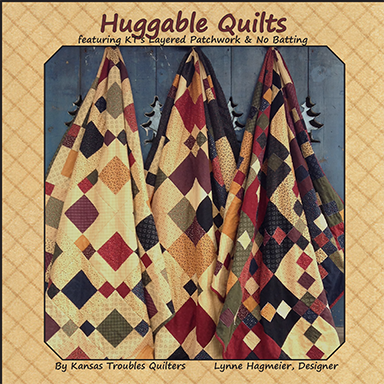 Please email your shipping address to lynne@ktquilts.com and we'll send it right out! 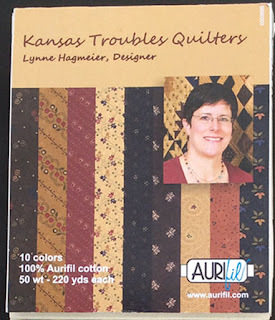 If you didn't win this week, please check out all the KT Aurifil thread colors by the spool or by the box on our website under Lynne's Favorite Notions. 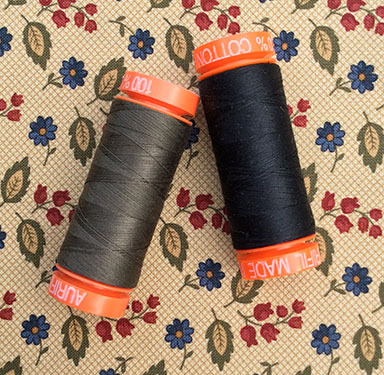 Our shipment of Aurifil should be arriving mid-July so please be patient. Watch for more of my favorite notions, including Sewline glue pens, Cut-a-Round rulers and more! 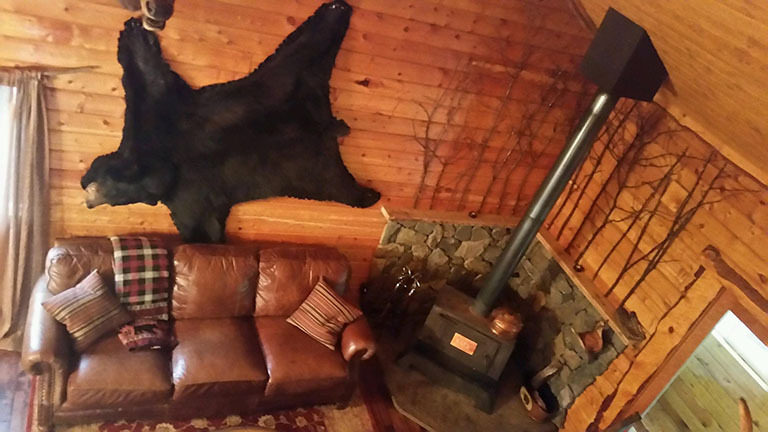 The cabin was beautifully rustic with lots of wood and natural elements. The best part was the location, overlooking the river and backing up to the mountains. 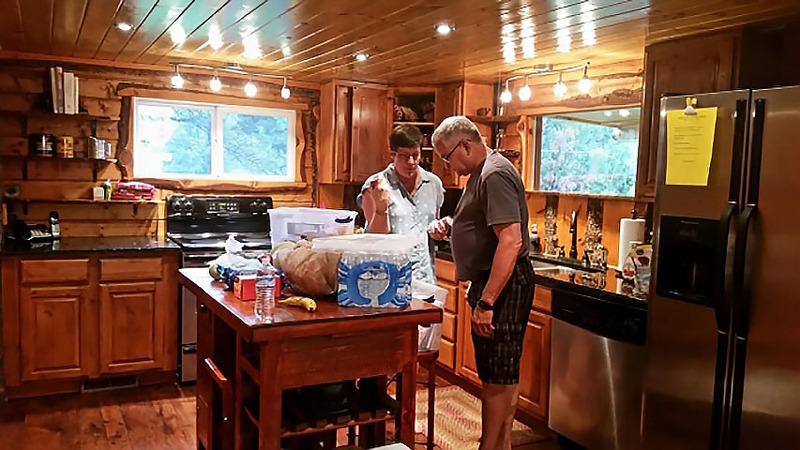 Grampa Robert and I stocking the kitchen with esentials - water and snacks. The decorating theme of the cabin was definitely WILD! 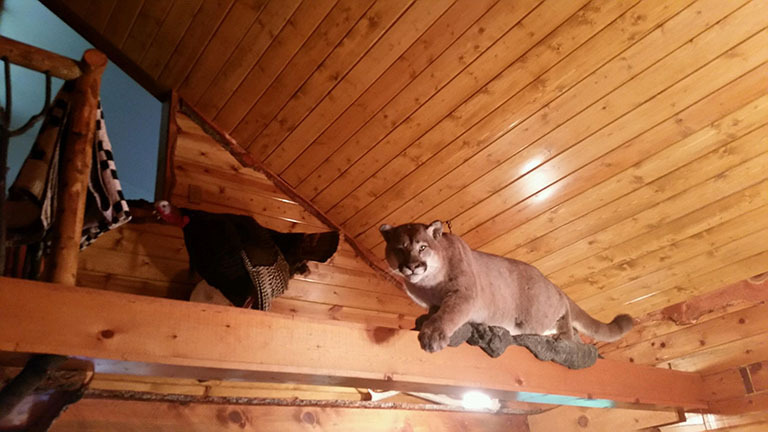 The loft bedroom had a mountain lion as guard. Other than having to take a minute to acclimate to the higher altitude at times, this Gramma kept up pretty well to active 10-15 year olds. We collected rocks and pine cones on our hikes, swam in the reservoir and visited a Buddhist Stupa (very serene and inspirational). All in all, another successful family bonding experience. But, oh, did my own bed feel great when we arrived home last night! 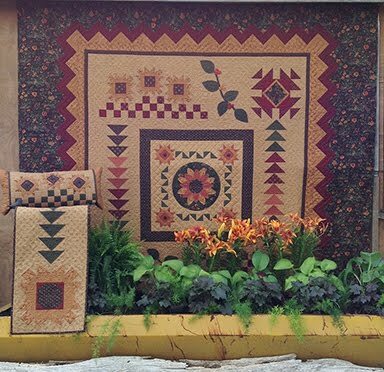 Do you have your route planned to stop at as many shops as you can to collect your free Home Sweet Home row patterns/kits? With a theme like Home Sweet Home, I figured there would be rows and rows of house blocks that would need a fence to separate the neighborhoods. 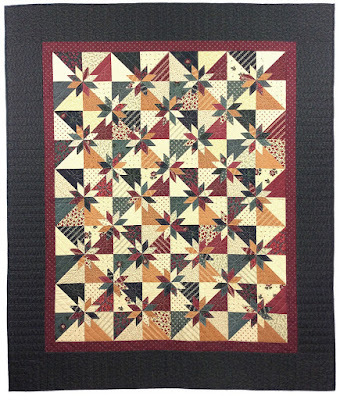 Here's my version of an easy picket fence using KT Layered Patchwork. 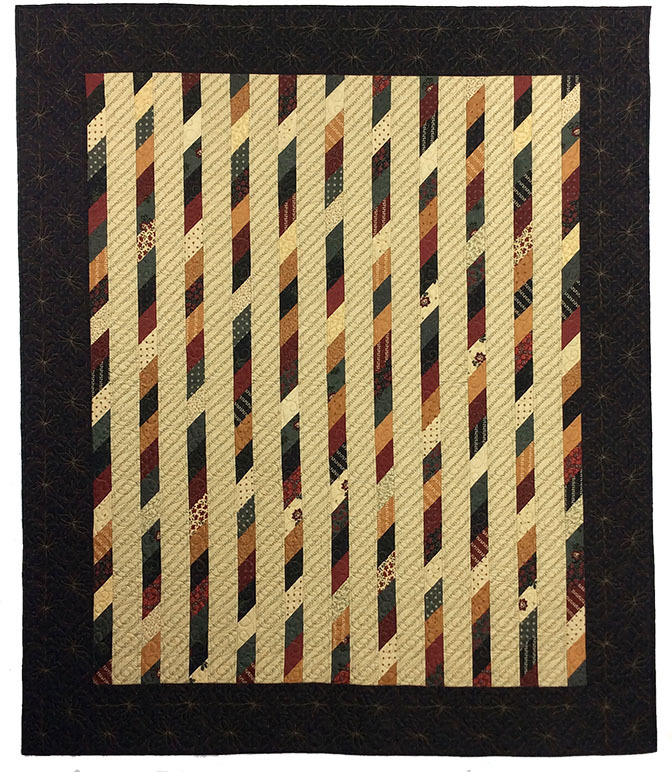 The tan pickets are made by stitching 2 small navy background triangles on top of each tan strip. Perfect points every time! 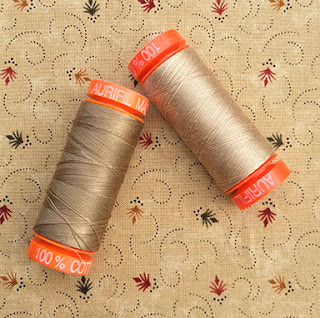 And now we have the coordinating Aurifil thread that's a perfect match! 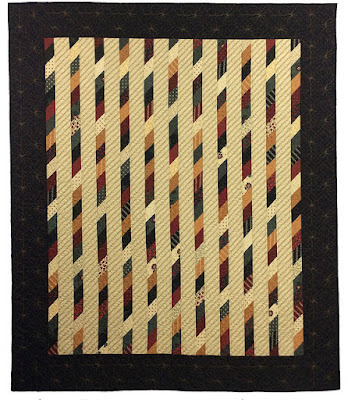 Comment this week to win our Picket Fence pattern/kit. 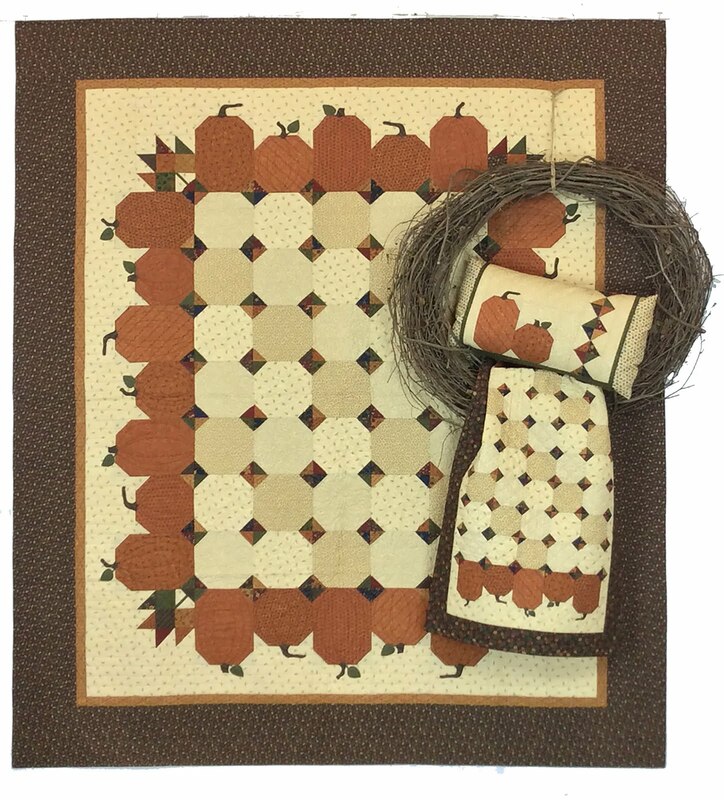 We'd love to share with those of you too far away to visit our KT Quilt Shop. Linda Yale - I wish I could attend a workshop with you! They look like so much fun, and all that expertise around you for questions! It's definitely on my bucket list! You're the winner of our new Prairie Cactus book. 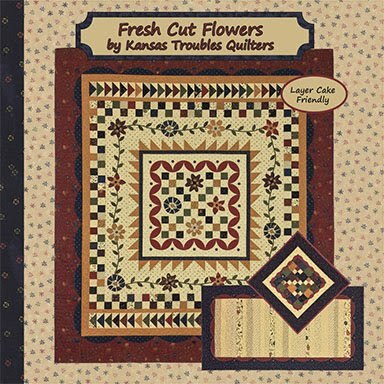 Please email your shipping address to lynne@ktquilts.com and we'll send it right out. BIG NEWS! BIG NEWS! BIG NEWS! I'm so excited to announce our new KT Aurifil Box with 10 shades that perfectly complement my fabric collections (50wt. spools of 220 yds. of thread). 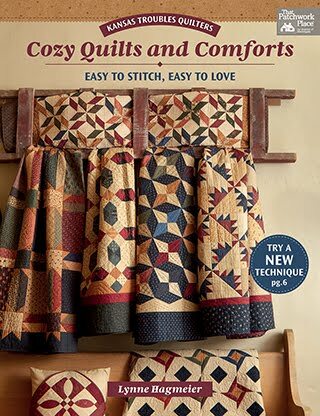 I am honored and delighted to be associated with Aurifil and love that they've gathered my favorite picks for a cool new thread box. 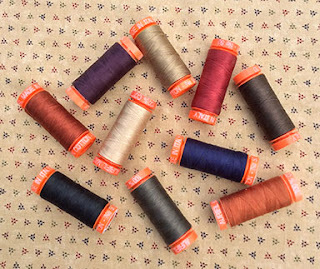 The KT Aurifil box comes with 10 small spools of 50wt thread. 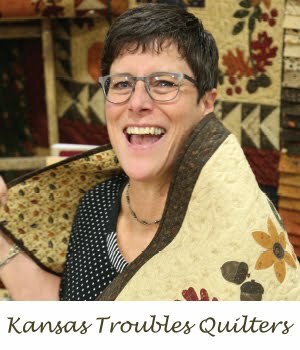 I grew up with another thread brand because that's what my local quilt shop carried 25 years ago. I wasn't always satisfied with the results, but hadn't come across anything better. 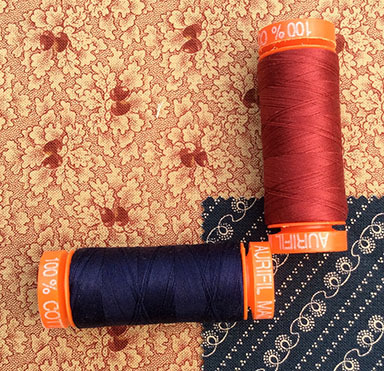 Then I heard the talk at Moda about this fabulous thread that's very fine, but strong. 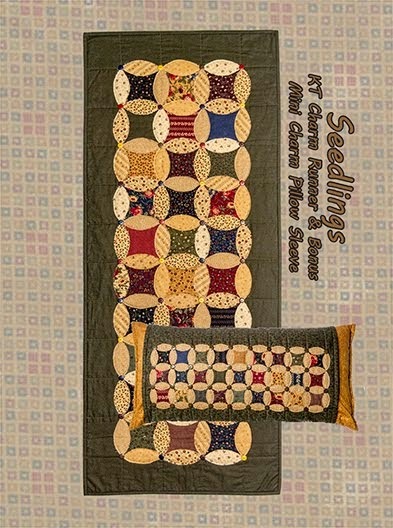 It works for topstitching and piecing. Even the 50wt. is sturdy enough for your bobbin. I had to try out this wonderful thread! 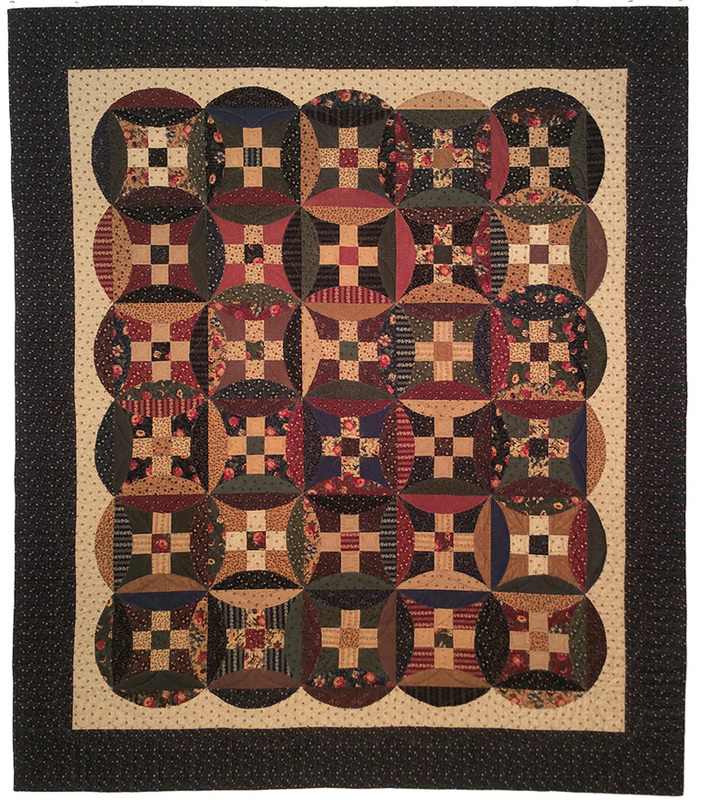 One spool, one quilt - I was hooked! But why stop with one spool? The variety of colors is awesome! 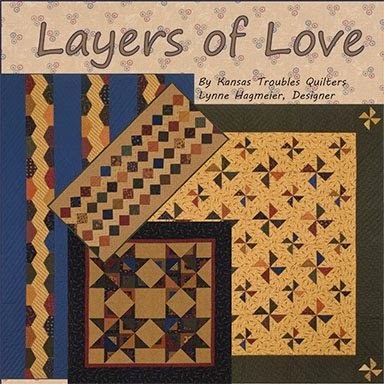 I topstitch a lot with my layered patchwork technique, so it made sense to find a great quality, fine thread that would hold up to raw edge stitching. This is it! Try one spool and you'll be a believer, too. Here are the assorted colors. My go-to-use-on-everything-color is #5013. It's a grayish green that blends beautifully with all of the KT darks and even looks great on my tans. 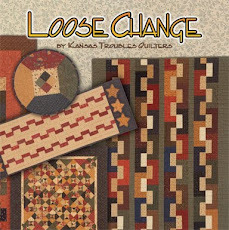 You never need to change threads when topstitching using my layered patchwork technique. Also shown is black #2692. Who doesn't need black? Gold #2335 and Purple #2570. Perfect for Bees 'n Blooms. Brown #5024 and Pumpkin #2355. 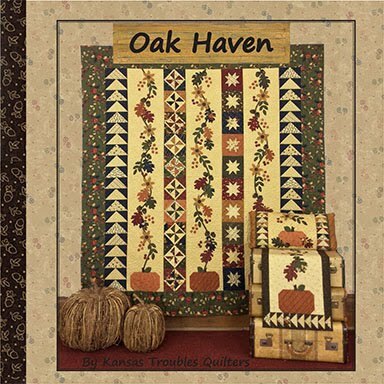 Always great with fall projects like Oak Haven. Navy #2785 and Red #2460. 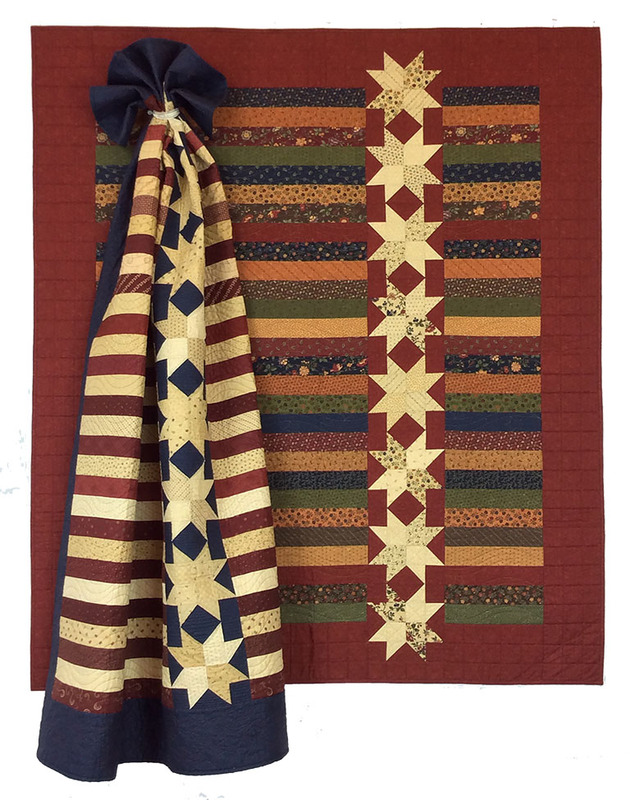 Just the thing for all your red/tan/blue patriotic quilts. We included 2 tans in the collection - lighter tan #2326 and medium tan #2370. Feel free to print our KT Thread color chart from here or our website for handy pocket reference. 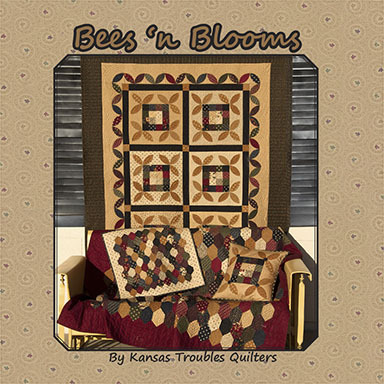 Bees 'n Blooms - closeup of lap quilt detail. 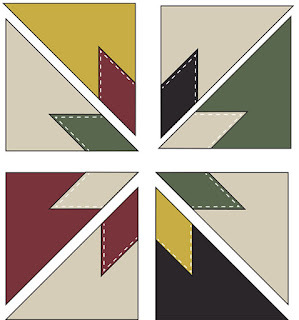 Navy, gold, red, purple, black, tan and green thread used. We used more than half the colors in the thread box in our Bees 'n Blooms project and the upcoming Oak Haven (Sept. 2016). Check out our KT website for single spools or the entire collection in the box. It's under a new category called "Lynne's Favorite Notions". In addition to the new thread, we'll be sharing glue pens, rulers, pinked rotary cutter blades and more in the near future. Comment here on your favorite notion to win a KT Aurifil Thread Box collection. But don't stop there! Go to Aurifil for their wonderful introduction of my collection and a chance to win another KT Aurifil Thread Box plus a bundle of Bees 'n Blooms fabric. You can't lose! 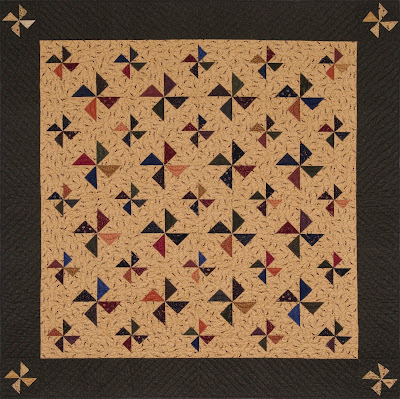 Terry G. - I can't choose between the Cactus Star and the original Rustic Star, so . . . . both??!?!? you're the winner of the Prairie Cactus booklet this week. We still have a couple of unclaimed giveaways from last month, too. 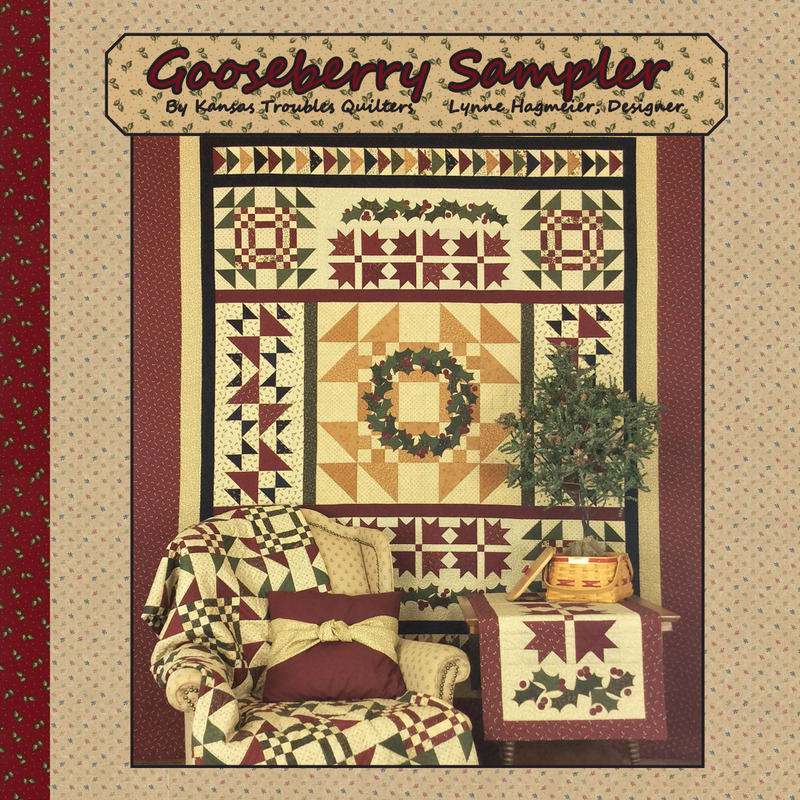 On May 16th, Kathy H won a bowl full of my fabric acorns, and on May 30th, Donna W won a set of KT Diamond templates. If you know either of these ladies, please have them contact us. We'll be re-giving-away unclaimed items the end of summer. 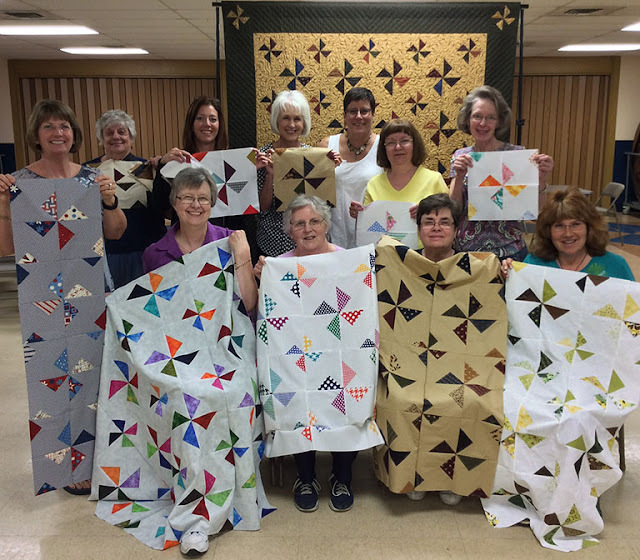 Thanks so much to the lovely ladies of Peoria, IL with the Gems of the Prairie Quilt Guild. 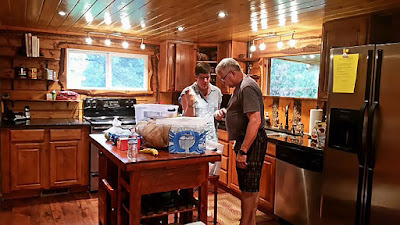 Robert and I enjoyed our time with them the first week of June. 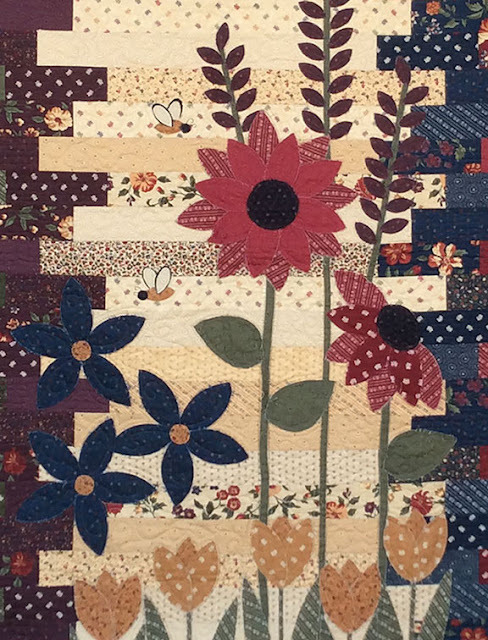 Here's a look at some of the KT projects I shared in the workshops featuring my layered patchwork technique. Having a good laugh during the Makin' Honey class. 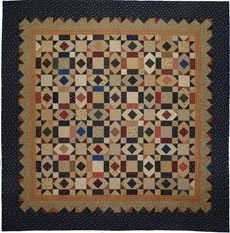 I LOVED all the color options the quilters brought to class. And see how much they completed in just a few hours! Clara's Raised Bed Garden using our KT Wedge template. 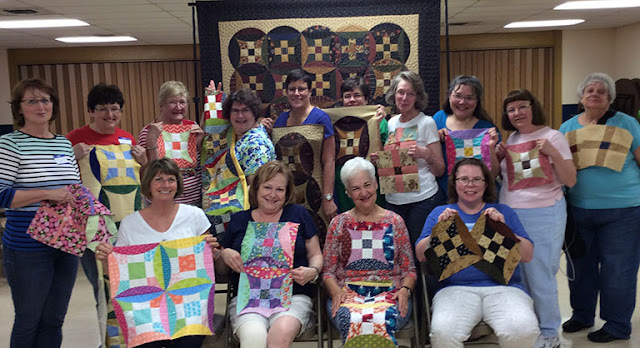 Delightful ladies, delightful blocks. Everyone had a good start on this lap size quilt or finished the runner. Do enjoy workshops? 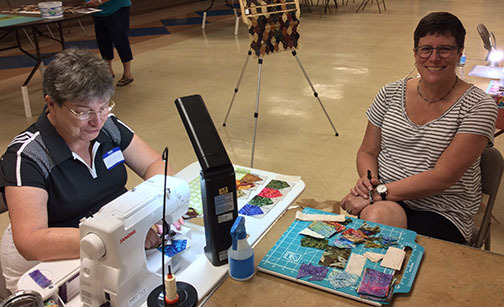 What is your goal when taking a quilting class? What was the last class you took and what did you learn? 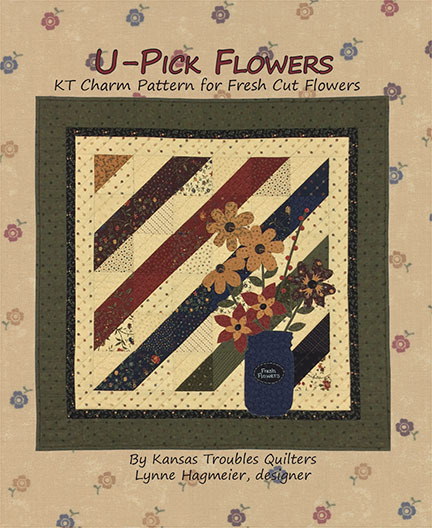 Comment this week to win your choice of any one of the above patterns - Bees 'n Blooms, Layers of Love or Clara's Garden. Watch next week when we'll reveal our RowxRow Home Sweet Home row for Summer 2016. 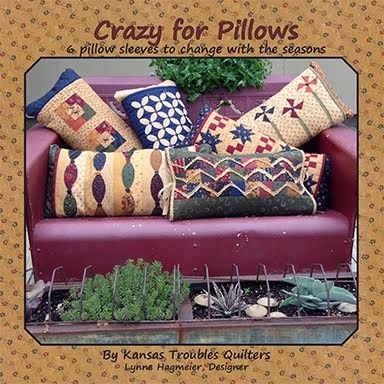 DebMac -I really like the cactus flower projects-it's one of the patterns on my to do list. You're the winner of our Prairie Cactus charm pack (as soon as I receive one!). 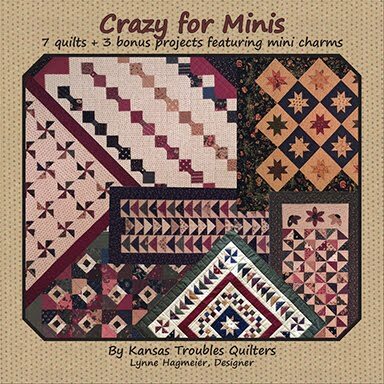 Please send your mailing address to lynne@ktquilts.com. We'll send out your charm pack soon! Thanks, ladies, for all your comments. It's just what I need in the morning to find my creative juice. Your support and enthusiasm are appreciated. I can feel it. The ground rumbling, the squeal of the brakes, the back door slamming. Wahoo! 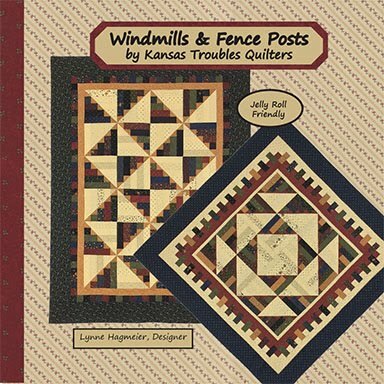 The UPS guy in brown shorts is here with boxes and boxes of Prairie Christmas precuts and bolts of fabric! Almost. Any day now we'll be receiving our new Christmas line for 2016. 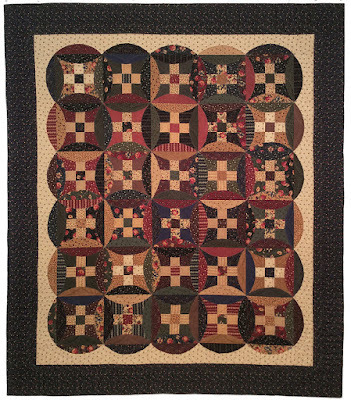 It's time to start thinking about your holiday quilting list. We're hoping you'll love what we've created for you this year. As promised last week, here are more of the projects from our new Prairie Cactus book. 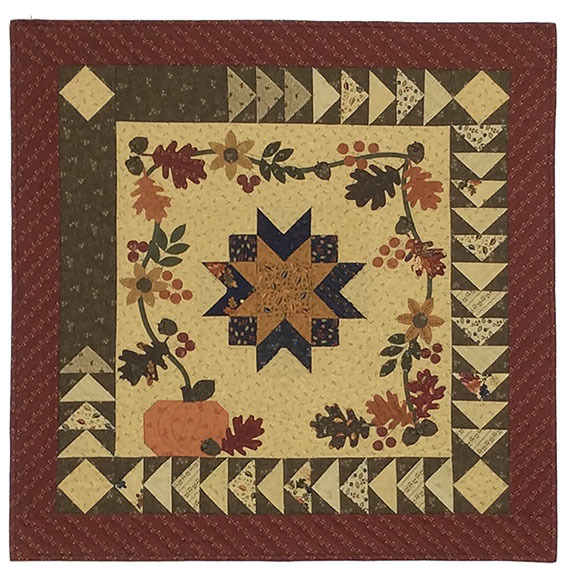 With our new KT Diamond Templates, you can cut perfect diamond shapes from 2 1/2" Jelly Roll strips, 1 1/2" Honey Bun strips, yardage or scraps. 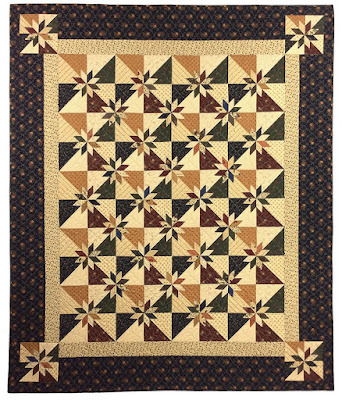 By simply sewing the larger diamonds together end-to-end and alternating the pieced strips with a stripe background strip, you can stitch up this delightful lap quilt we call Candy Stripe. Doesn't it make you think of peppermint sticks and all sorts of Christmas candies? 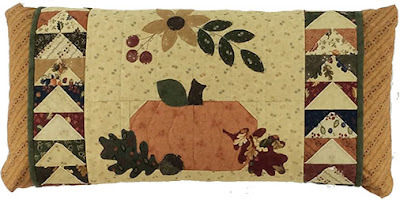 A KT Prairie Cactus Jelly Roll and 2 fabrics is all you need! 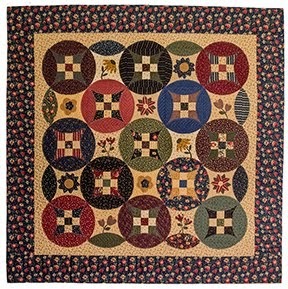 How about this easy quilt in Me and My Sister brights? Can you see it? 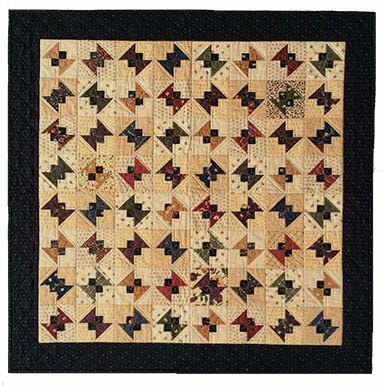 We've reimagined one of our quilts that appeared in American Patchwork & Quilting magazine a few years ago as shining Christmas stars. 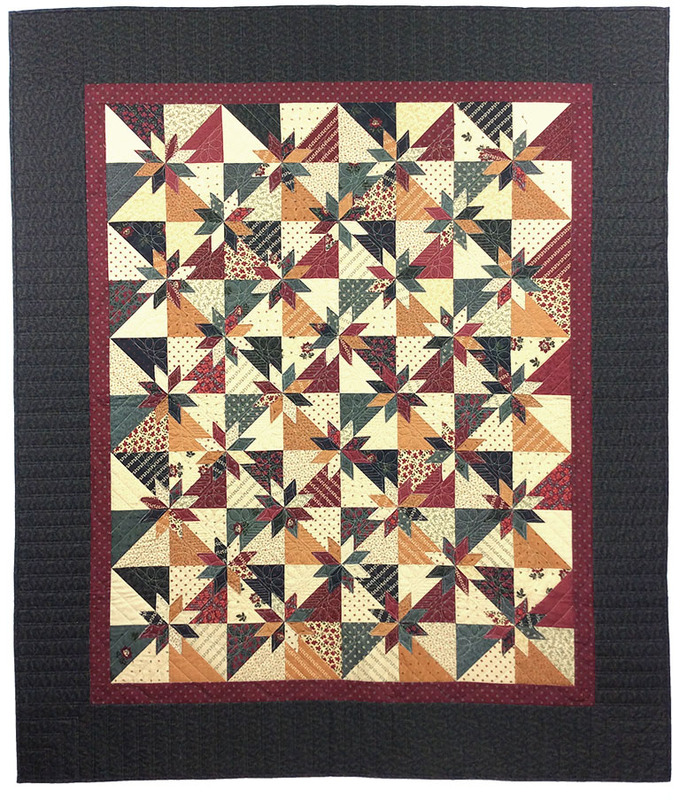 A traditional Hunter's Star block is simplified with KT's Layered Patchwork Technique. I cut the small 1 1/2" diamonds with our template off-grain, so none of the straight edges of the diamonds were on the straight grain of fabric. Not true 45 degree bias, but it works to prevent raveling of the exposed edges. Position the diamond on the corner of a triangle; glue the points in place with a Sewline glue pen (my favorite). Stitch about 1/8" from the cut edges of the diamond, as shown. 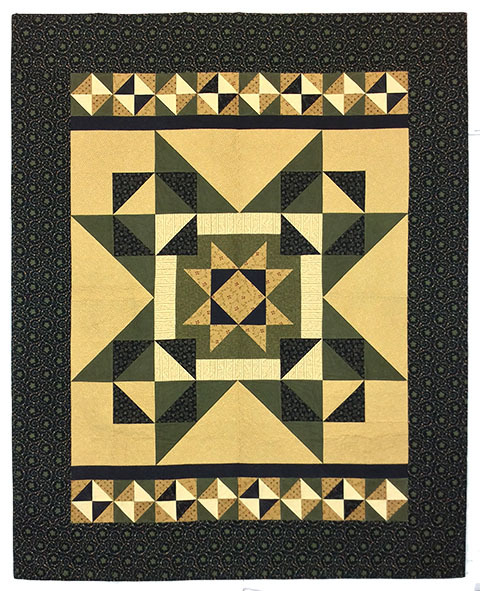 Sew 2 triangles together for a layered bias square, then sew 4 layered bias squares together for the basic Cactus Stars block. Easy peasy! 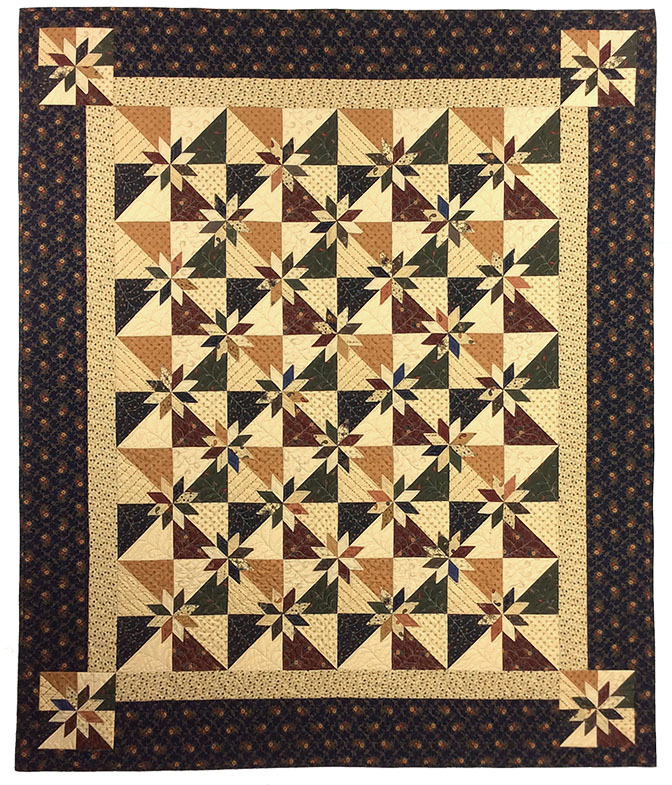 The original Rustic Stars quilt is also offered as a bonus in the Prairie Cactus book and shows how fun it can be in non-Christmas prints. We chose 4 lights and 4 darks for a planned scrappy look featuring a Honey Bun for even easier cutting of the 1 1/2" diamonds. 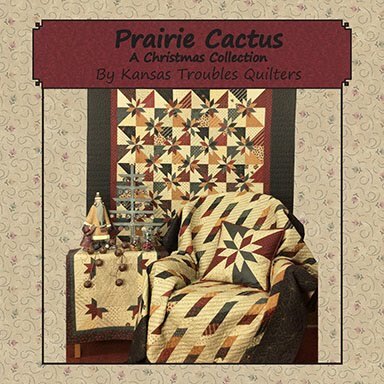 Kits are available soon for all the Prairie Cactus projects. 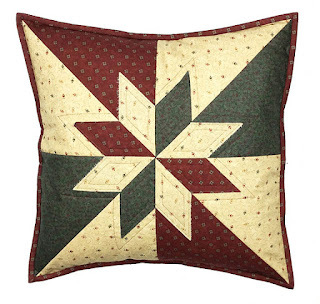 For a quick and easy coordinate for your holiday home, make an extra 18" block for a classic pillow cover. 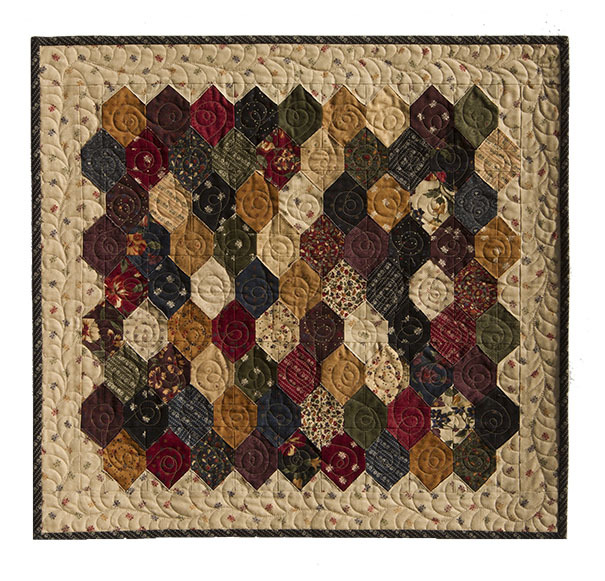 I chose just 3 fabrics, but you could certainly utilize your scraps from any of the Prairie Cactus projects. 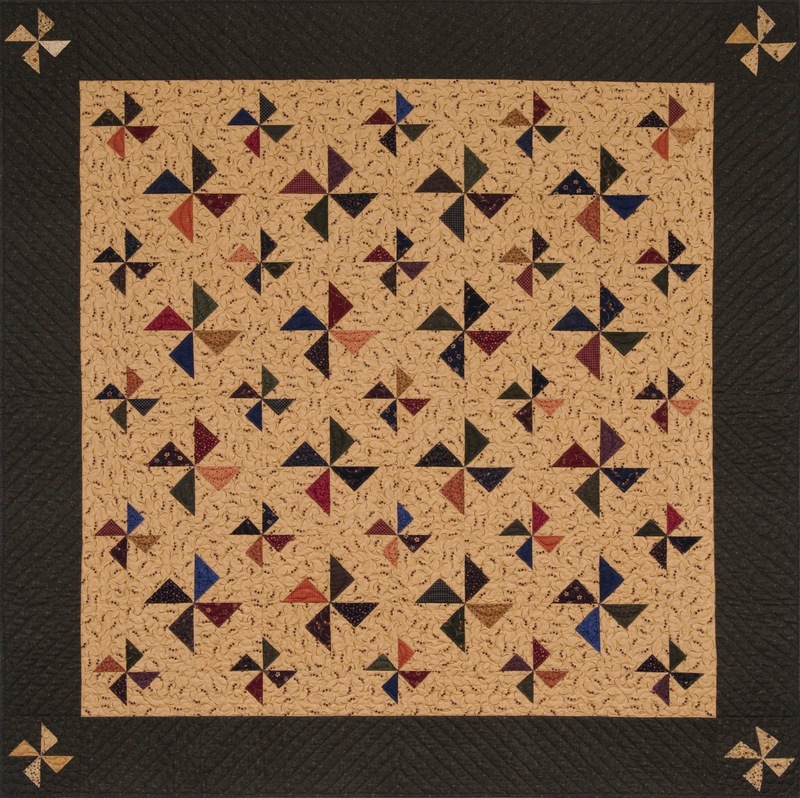 Do you visit our ktquilts.com website? Have you seen the fabric swatch charts I share for each fabric collection? Just print and save for easy reference for all your KT fabric shopping needs. 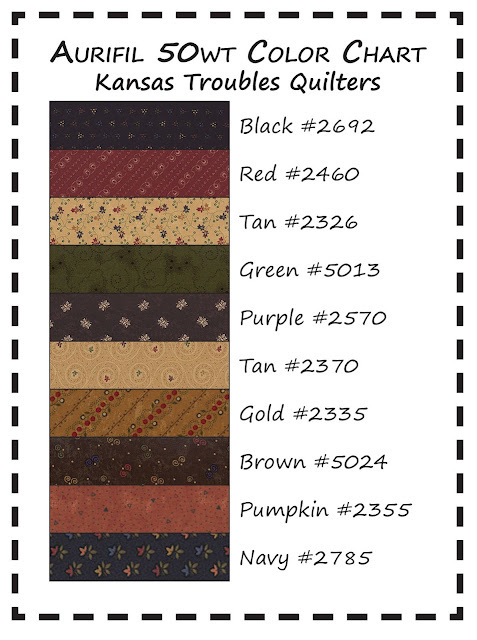 Call KTQ (785-488-2120) and visit with Jamie or Robert or Joy anytime to order KT yardage ($10.50/yd everyday). We always encourage you to shop your local quilt store first, but we're here as back up if you need us. 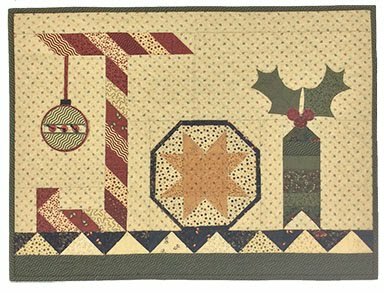 Comment this week on your Christmas stitching plans to win a Prairie Cactus book. You'll be on your way to sewing up the holidays before 4th of July fireworks are done!